I think that it’s safe to say that most people with Attention Deficit Disorder are visually oriented; we are visual learners. There are ways that you can use this information to your advantage when you’re trying to manage your life more effectively. And no, all of those things in piles that you leave out “so you won’t forget” is not one of them. One very effective tool that I use is a calendar that lists each day hour by hour. You know, like the ones they use at the beauty salon and the doctor’s office. You can purchase a calendar like that in office supply stores, but I really would urge you to try an electronic version – either online or using a device like your cell phone or smart phone. The image above is taken from a site called Skoach. When Skoach was first launched, the site owners were kind enough to give me an account for free. I have to tell you, I used it for a while and then forgot it. Recently I’ve been using it again and I love it. The Skoach time management system was actually created with ADHD brains in mind and it therefore extremely effective. In addition to showing you your day hour by hour, Skoach makes you assign a time frame to each task or appointment that you add and then subtracts that time from what you have left in your day. No more trying to get 48 hours worth of stuff done in 18! 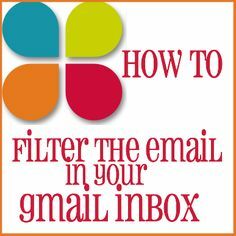 I think that this is by far one of the best tools for those of us with ADHD. Another feature that I like is that Skoach prompts you to plan your day each day with text message and email reminders. They allow for a daily planning session; you decide the time and length. 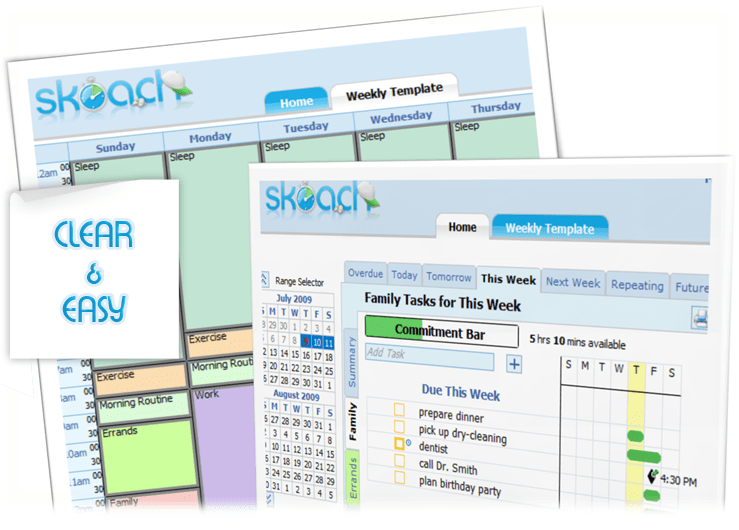 Skoach can also sync with your iPod or cell phone so that you can have your calendar with you at all times. There is a fee to use Skoach, but you can find free alternatives that are almost as good. Google Calendar is one. It shows you your day by hour and can sync with iPod or your cell phone too. Check out some of these kinds of calendars and see if they make a difference for you.